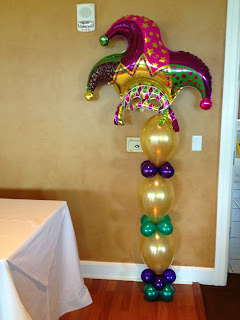 Jumbo foil jester hat on top of linking column. 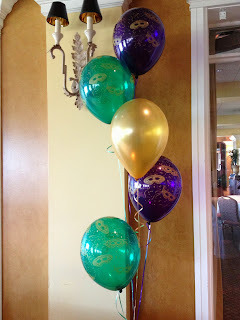 Mask printed latex floor arrangements ad color around the buffet tables. 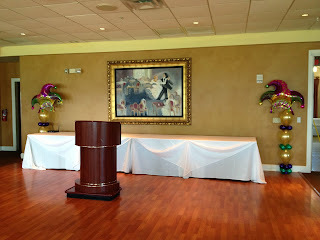 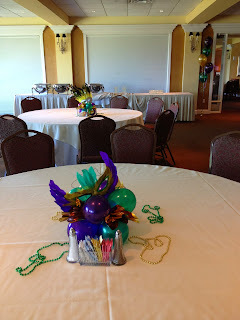 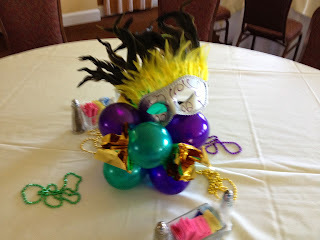 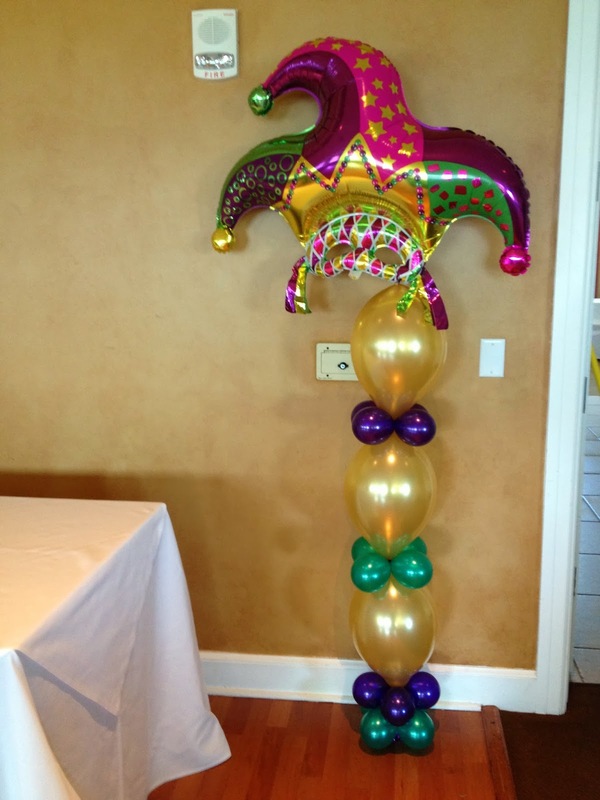 Feather mask accents on table top mini balloon centerpieces surrounded by beads create a perfect Mardi Gras Centerpiece.